If you have the talent to entertain come and take part in the UKs longest running variety show. Calling all singers, dancers, comedians, musicians, variety acts and entertainers. 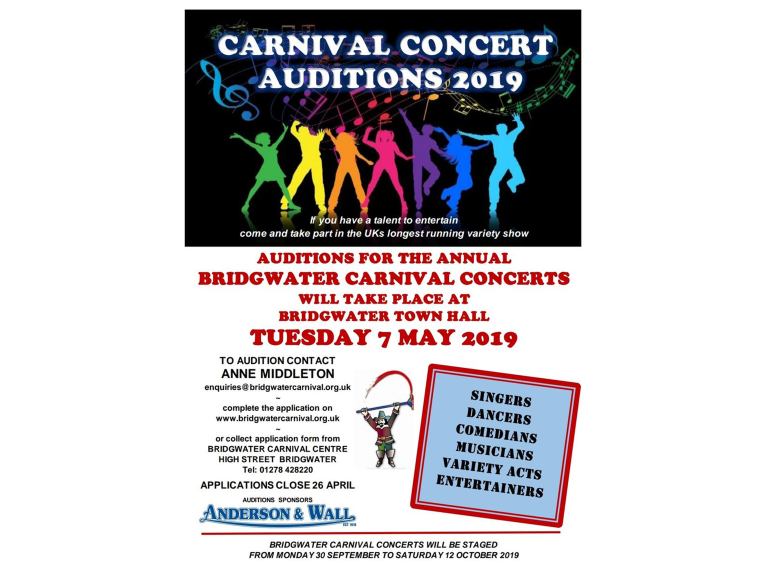 Auditions for the Annual Bridgwater Carnival Concert take place at Bridgwater Town Hall on Tuesday 7 May 2019.